Lieutenant-General Chuck Lamarre, Commander Chief Military Personnel, General Jonathan Vance, Chief of the Defence Staff, and Brigadier-General Mark Misener, Commander Canadian Armed Forces Transition Group sign the stand up of CAF Transition Group scrolls during a ceremony at Cartier Drill Hall in Ottawa on December 10, 2018. 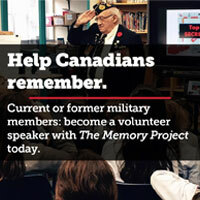 The Canadian Armed Forces has begun a program that will help its members make an easier transition to their life after service. The goal of the new Canadian Armed Forces Transition Group is to ensure that members leaving the service and their families receive the full range of support, compensation and benefits available. 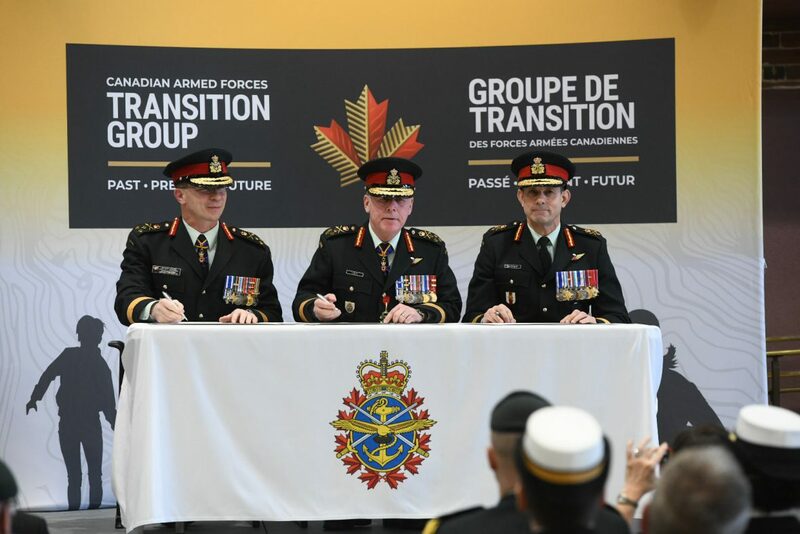 The transition group will “provide support to all members for the next mission in life,” said Chief of the Defence Staff General Jonathan Vance at a news conference. A pilot project at Canadian Forces Base Borden in Ontario will help develop personalized help along with standardized, professional services. It is estimated that it will take three to five years to develop the permanent program and roll it out across the country. As the permanent program is being developed, a mandatory 30-day release process is being tested in which members will be released from their day-to-day assignments to focus on their transition, including 15 hours of online training and completing the necessary paperwork. Plans call for the integration of staff, services and resources of the Joint Personnel Support Unit and Directorate of Casualty Support Management into nine regional transition units and 32 transition centres across the country. The centres will serve veterans, retiring members, those being medically released and their families, including the families of the fallen. The units will also be staffed by CAF partners, including Veterans Affairs Canada, Military Family Services, SISIP Financial, Canadian Armed Forces Health Services and others. One-stop services and advice will be available regarding careers and jobs, finances and fitting into civilian communities, among other things. “We want to make sure that veterans have purpose, are financially secure, safely housed, in good physical and mental health, resilient in the face of change, well integrated in the community and proud of their legacy,” said then-Minister of Veterans Affairs Seamus O’Regan. Information is now available online at www.canada.ca/en/department-national-defence/services/benefits-military/transition.html and in the downloadable booklet, My Transition Guide. The earlier a serving member begins to prepare, the more successful their transition is likely to be, says the website. The CAF will continue to support that planning with Second Career Assistance Network seminars, online career transition workshops and on-the-job training close to the release date. The personalized service will provide help to members, including drawing up a transition plan and timeline based on personal and family needs, applying for VAC benefits and handover to VAC. A report on the transition trial at CFB Borden is expected within the next six months.